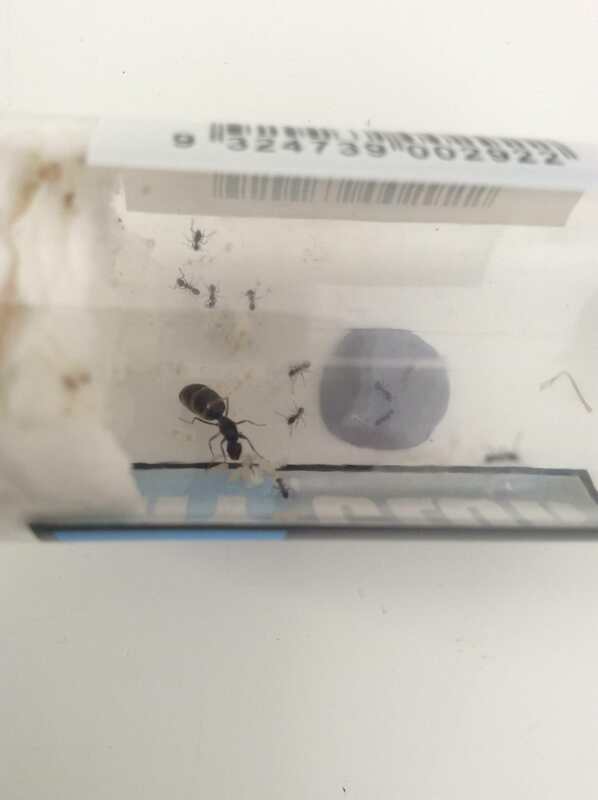 i recently got my first workers in my iridomyrmex bicknelli colony so i decided to make a journal on it. 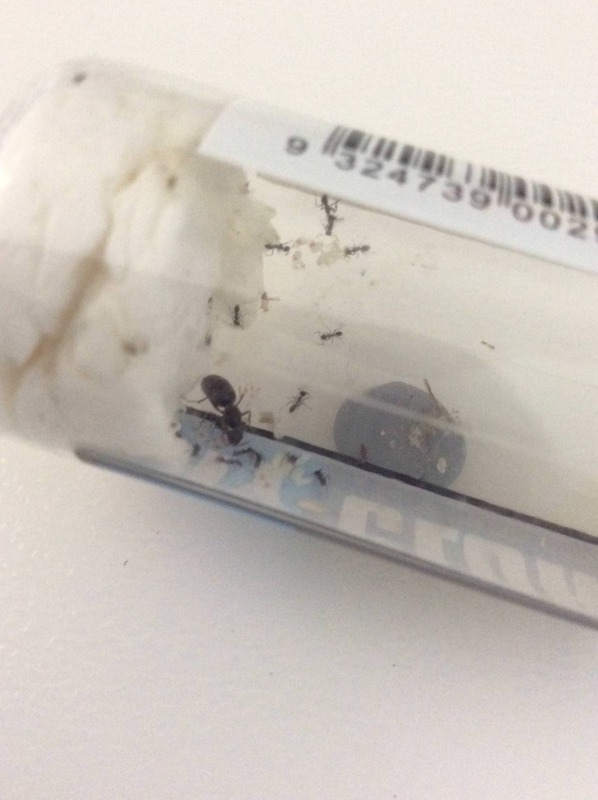 They are housed in a plastic container as when i caught the queen i didnt have any test tubes —i later bought some— so you’ll have to bare with the bad photography. There are currently only 6 workers. Here’s a question i need answered: how often do i feed the ants honey and protein? 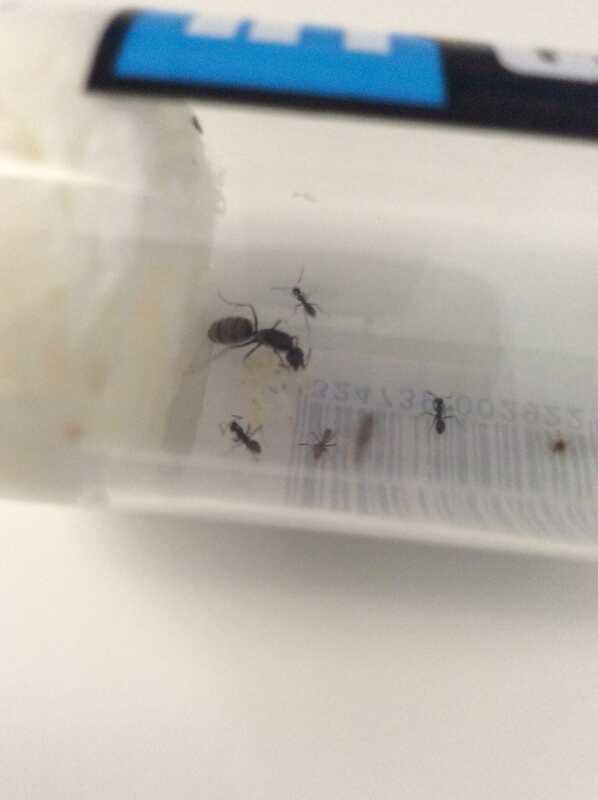 One of my other queens also just got her workers but I won't be making a journal on that colony. I fed them honey yesterday and they havent really been drinking it. I fed them a small spider from my garden ( i know i shouldnt feed insects from my garden but im not allowed to get anything from the pet store) and they ate that pretty quick. Thats all for this mid week update! cya! A small colony like that you can feed once or twice a week. 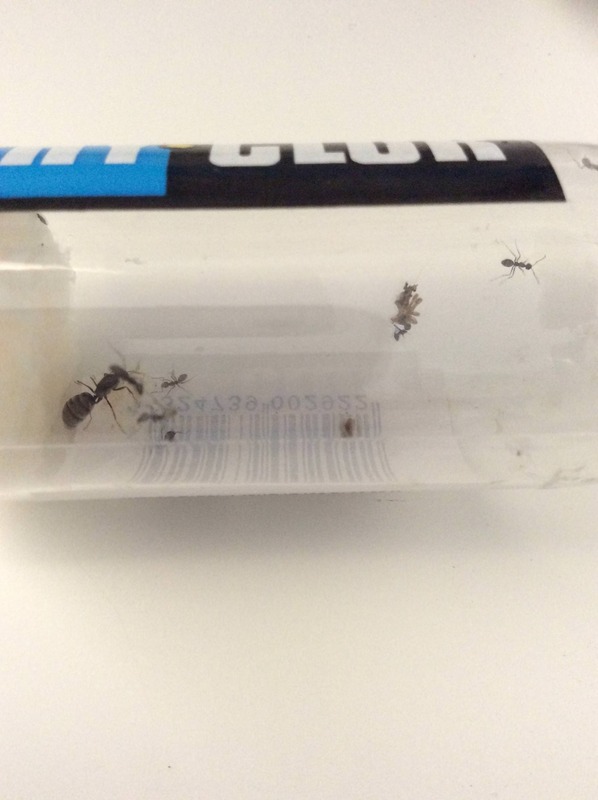 If you attach a tube to their test tube that goes to a foraging area you can just leave food for them in the outworld. They will come and get it when they want it. That way you can leave sugar water or hunny for them 24/7. Then you just give them as much insects as they want. If you drop 3 bugs in there and they take them all then drop a couple more until they stop taking them. This will give you a feel of how much food they want to be fed and how often. 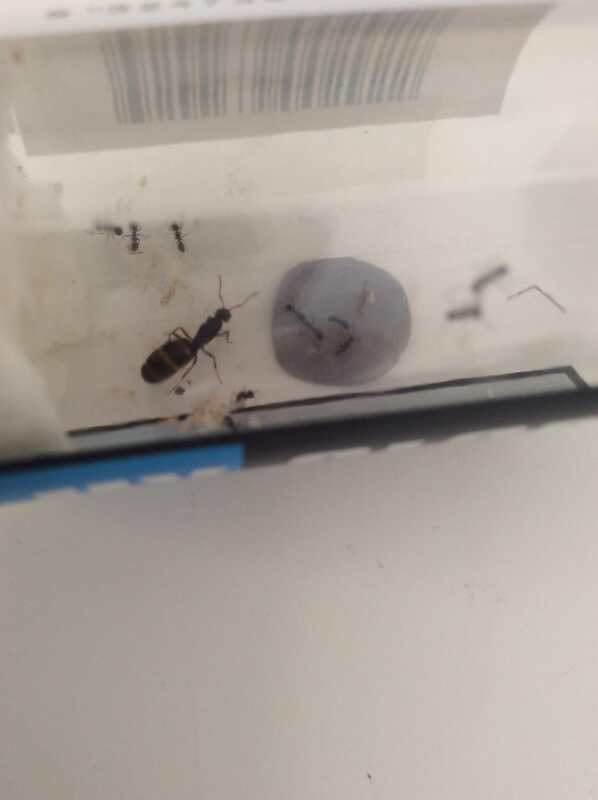 Hey guys, this is the 1st update on my iridomyrmex. bicknelli colony. 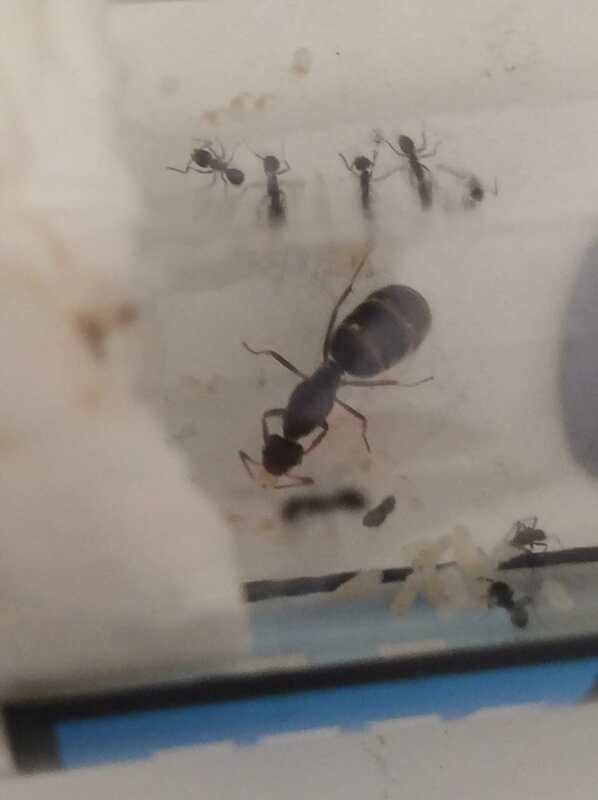 They have grown to 11 wokers and the queen is started to get more filled with eggs so i cant wait for an explosion of the amount of brood. I fed them a spider leg and some honey and they consumed them quick. That looks like a well fed queen! 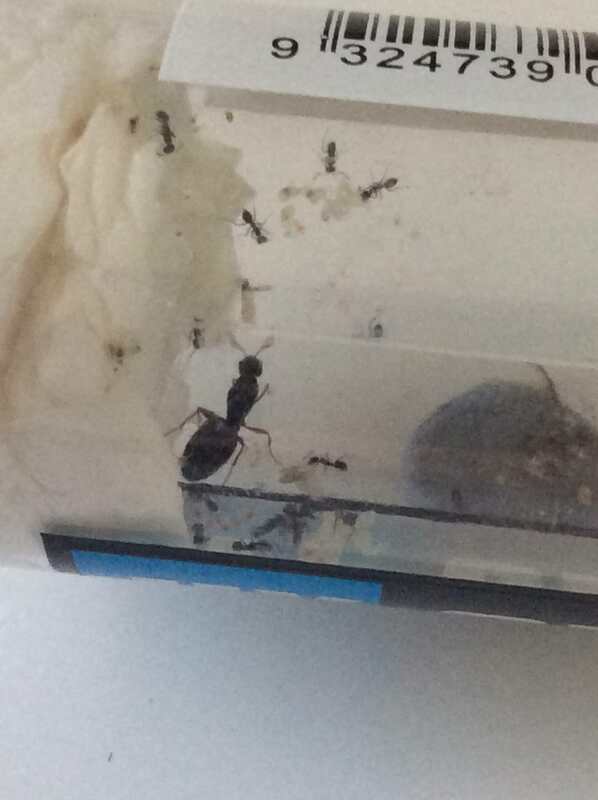 Hey guys, my Iridomyrmex Bicknelli colony has been growing quite alot this week with 7 new workers! I've been feeding them flies and honey. I just made a formicarrium but it is still drying as it is made of plaster of paris. There isnt really much left to say so lets get to the pictures!